Reclaim your yard with the Earthquake Edger. A strong, 79cc Viper engine powers the unit through the toughest weed encroachments, while the 4-wheel design provides stable control for clean and straight lines. The Edger's ergonomic handlebars feature a tool holder for convenient access to hand tools. For optimum safety, the centrifugal clutch stops the blade the moment the throttle is released. Durable chain skirting protects the operator from flying debris. 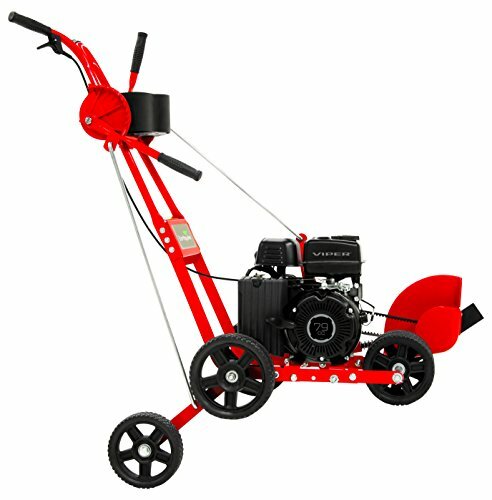 Add definition to your outdoor space with the powerful and reliable Earthquake Edger. If you have any questions about this product by Earthquake, contact us by completing and submitting the form below. If you are looking for a specif part number, please include it with your message.